The BBC will next year launch an OTT subscription service akin to streaming giants Netflix and Amazon Prime Instant Video in the US. 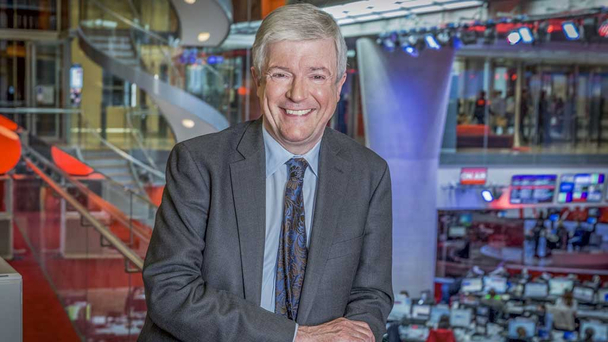 Tony Hall, director general of the UK’s pubcaster, said the move was part of plan to “try out businesses that go direct to the public”. The BBC Worldwide-operated service will offer Americans “programmes they wouldn’t otherwise get – showcasing British actors, our programme-makers and celebrating our culture”. Further details such as pricing or launch plans were not disclosed during Hall’s speech at the Royal Television Society Cambridge Convention in Cambridge, UK. The move follows AMC buying a 49.99% stake in BBC America, BBCWW’s US cable channel, and a joint venture with Sony Pictures Television-backed platform Multi Screen Media to launch BBC Earth in India. “Overall, we think our plans will increase commercial returns from Worldwide to the BBC to £1.2 billion (US$1.9 billion) over the next five years – more than 15 per cent higher than the returns of the previous five years,” said Hall, who borrowed from writer Armando Iannucci’s recent MacTaggart lecture, in which he said the BBC should not be “icky and modest about making money”. Furthering the case to better monetise BBCWW, Hall said upcoming big-ticket dramas such as War and Peace and Dickensian were dependent on international coproductions the commercial division had been involved in. Landmark natural history series Life Story, meanwhile, was “more than 70 per cent” funded commercially. “To look at it through another lens, without BBC Worldwide, the licence fee would be £10 higher,” Hall added. “That’s why any proposal to carve out BBC Worldwide from the BBC doesn’t make economic sense,” referring torumours the British Conservative government was seeking to split the two. “While every major global player is creating a more integrated system, it would make no sense for us to go the other way and break up a system that is delivering returns that are essential to support public service programmes. BBCWW currently has turnover of £1 billion, and last year delivered the BBC £226 million.